Feels like I ran a full marathon! Today my wife went into hospital ahead of a special delivery tomorrow: yes, that’s right… Child number three! Finally, the kids are asleep. And I feel like I ran an ultramarathon today, when my Fitbit tells me I walked a measly 9 kilometres (12,000 steps). 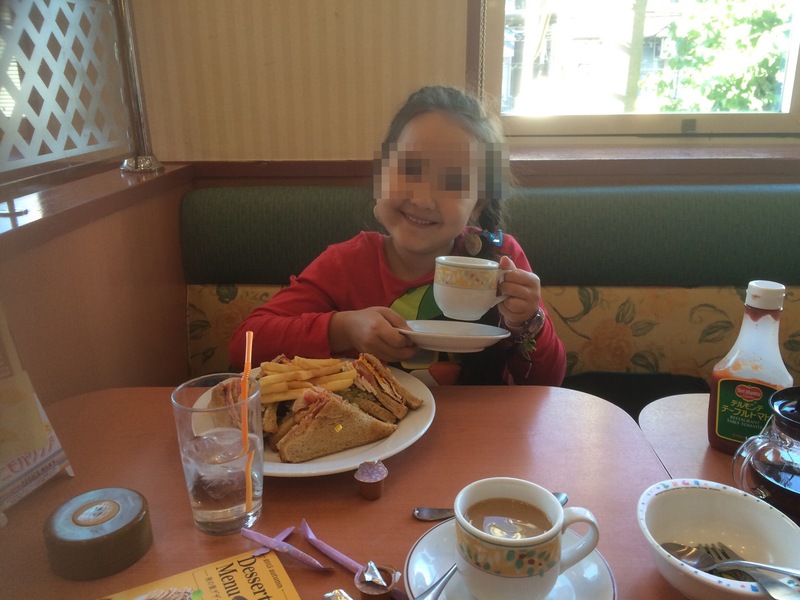 While my wife was getting settled in and hooked up to the baby monitor, I took the kids over the road to Denny’s. Denny’s is no longer what it was. I think they are trying to go upmarket, positioning themselves above Gusto and Jonathan’s, somewhere around Royal Host. 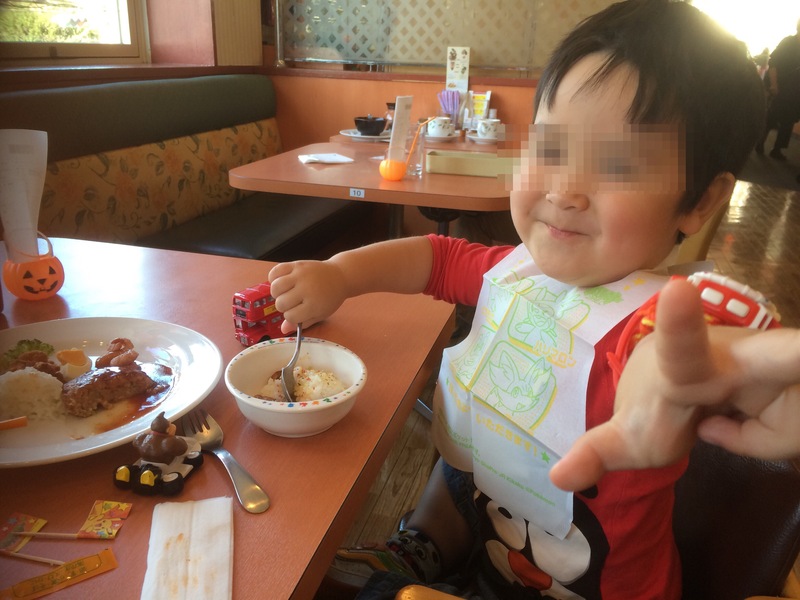 Not that I’m a connoisseur of Japanese family restaurants. But I was surprised at having to pay more than double what we pay at Gusto for my son’s meal. I don’t know how my wife even managed it all those times when I went on business trips. I felt like I was being pulled in every direction. My two terrors tag-teamed me – deciding to take turns in playing up, and often giving me the double whammy of misbehaving simultaneously! It took me ten minutes just to get the kids to choose what they wanted off the menu, and even longer to choose my own! It turned out that they were hungry. As soon as the food came, they were good as gold. For a while anyway. This little madam drinks Darjeeling. I’ll take the physical pain, you take the psychological pain. We should share the pain, right? She is the one that’s really going to run a proverbial ultramarathon tomorrow. And the nurses have promised to dutifully wake her up once an hour through the night tonight. But for my part, hopefully I will survive the eight to ten days until my wife gets out of the hospital! Then we can both share the joy and the pain of raising three lively… I mean… lovely kids. Whatever the problem in my life, the solution had always been the same: Keep going! My lungs might be screaming for oxygen, my muscles might be crying in agony, but I had always known the answer lay in my mind. Not a bad solution to live by. Scott Jurek doesn’t do things by half. He gives his best and just keeps on pushing further and further. I first learned about AQ: Adversity Quotient (a theory developed by Dr. Paul Stoltz) when studying for my MBA a few years ago. Jurek epitomizes this never-say-die spirit. We meet Jurek as he is vomiting, lying prostrate on the searing ground of Death Valley, his brain being cooked in the heat of one of the hottest places on Earth. He is attempting to run the Badwater Ultramarathon — 135 miles of pure scorching hell. For those who have read Born to Run, you will know Jurek as ‘El Venado’ or The Deer. Jurek is one of the greatest ultra runners of all time. It is not often that he succumbs to the elements nor to his own inner monologue telling him to stop, asking why is he putting himself through it. And as we soon find out, this is not going to be one of those times. The next morning I didn’t want to get out of bed. I could hear music. It was the siren song of a warm bed, a cozy couch, a few hours of reading, or listening to music, or just being. No one was forcing me to run. No one said I had to. No one was going to die if I just relaxed a little. Those were the lyrics of the song. It was the catchy, terrible tune that had seduced so many runners to drop out of races. It was a melody I could not afford to listen to. The song was calling: Rest. You just ran one mountain. No need to do another. The difference is that he didn’t succumb. He doesn’t succumb. Good advice indeed from an 18-year-old. Sounds more like something a 41-year-old might say to his kids! He took his own advice, even if he admits that at the time of his speech, he didn’t know what his dream was. As an adult, Jurek remains an avid reader and a student of life. Through various encounters during his time as a runner, he has shaped his own development. His visits to Japan and to his bookshelf exposed him to the principles of Bushido. He likens the emptiness of the warrior’s mind in battle to the importance of remaining in the present when running a race. A wandering mind loses focus, and in a 100-mile race that can be dangerous. His studies do not rest solely with philosophy. He also studies the effects of the foods he puts into his body. He started out as a meat-eater, became a vegetarian and is now a vegan. Jurek cites studies that link the Western diet with the three most common causes of death in the U.S.: heart disease, cancer and strokes. He has studied through trial and error and lots of reading the effects of various foods on his performance. This book is not just for runners, but for those who care about what they put in their body. He ends each chapter with a recipe that he himself cooks up for himself or for his friends. The healthier I had eaten, the faster and stronger I had become. Was it a coincidence that sick people were being served starchy, crappy food? If you like running, Eat and Run will give you lots of practical tips, from how to breath to what training to focus on. 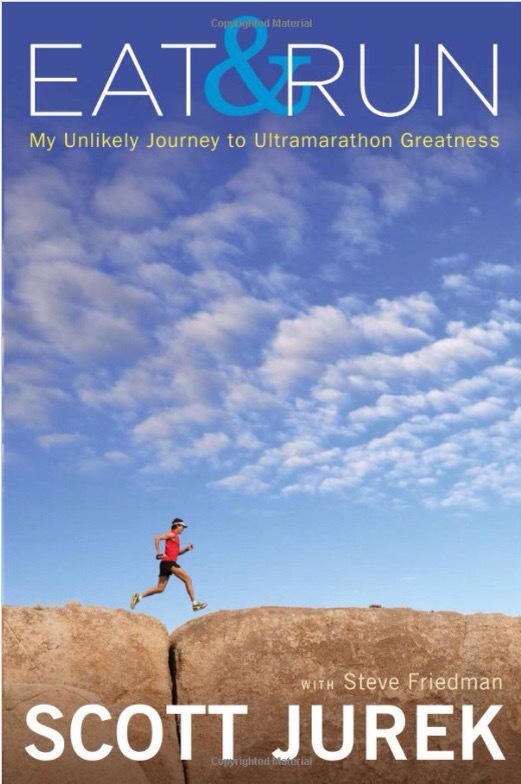 If you like Born to Run, you’ll love this book which has more of a flowing style. If you care about your body, you’ll learn some quick and practical recipes, including a good one for chia seeds. And if you like autobiographies, Jurek gives you a clear insight into his mind. The next leap forward in human endurance would come from a dimension he dreaded getting into: character. Not the “character” other coaches were always rah-rah-rah-ing about. Joe Vigil, a coach we encounter on the epic journey that is Born to Run wasn’t talking about grit, drive or hunger. In fact, he meant the exact opposite. Vigil’s notion of character wasn’t toughness. It was compassion. Kindness. Love. I share this view: that it is important to always be nice to one another and to always think about how others feel. Even now, I’m not sure why I did this: when I was in the last kilometre of my last full marathon in Kyoto, ready to give up and start walking, I started saying “arigato” to all the volunteers lining the streets handing out drinks. It somehow gave me the little extra ounce of strength I needed to get over the line. Certainly having something nice to think about, rather than “my left knee hurts” pushes me forward towards the line. Perhaps all our troubles—all the violence, obesity, illness, depression, and greed we can’t overcome—began when we stopped living as Running People. Deny your nature, and it will erupt in some other, uglier way. It may be overly optimistic to think that if everyone went back to running like our forebears, that all the tyranny would disappear. But being nice to one another is certainly a good mantra to live to. And maybe if we were all running, we wouldn’t have time to be greedy and violent! Christopher McDougall takes us to meet the legendary Tarahumara – a Mexican tribe known for their endurance running. First we meet them at a grueling 100-mile run in the heights of Colorado. This is a place where only people really dedicated to running and achieving seemingly impossible goals go. Instead of a marathon, Ken created a monster. To get a sense of what he came up with, try running the Boston Marathon two times in a row with a sock stuffed in your mouth and then hike to the top of Pikes Peak. Great. Now do it all again, this time with your eyes closed. That’s pretty much what the Leadville Trail 100 boils down to: nearly four full marathons, half of them in the dark, with twin twenty-six-hundred-foot climbs smack in the middle. 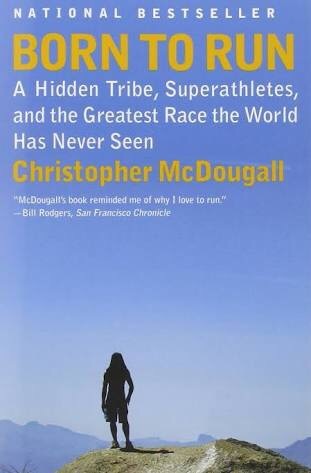 On his journey, McDougall talks to scientists who say that we humans were indeed born to run! There is a tendon behind our head known as the nuchal ligament. The purpose of the tendon is to keep the head straight when running fast. It is not needed when walking. The tendon has been found only in dogs, horses and humans. A jogger in decent shape averages about three to four meters a second. A deer trots at almost the identical pace. But here’s the kicker: when a deer wants to accelerate to four meters a second, it has to break into a heavy-breathing gallop, while a human can go just as fast and still be in his jogging zone. A deer is way faster at a sprint, but we’re faster at a jog; so when Bambi is already edging into oxygen debt, we’re barely breathing hard. And so our ancestors were master huntsmen who would simply outrun their prey over very long distances — literally tiring them out. We next meet the Tarahumara in their natural home for the book’s finale when a group of American runners joins McDougall on a trip to race in Copper Canyon. Born to Run is an interesting read that I would recommend to anybody with an interest in running, human endeavour or anthropology. But more importantly it opened the door to some more interesting books, such as Eat and Run by Scott Jurek.